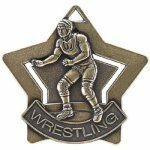 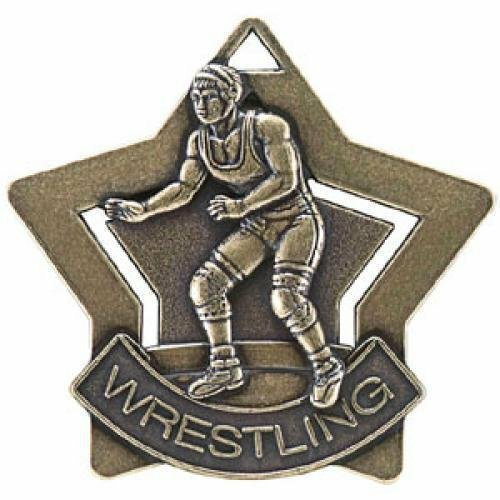 This high-quality 3" wrestling WCM medallion is perfect for prestigious recognition of the best kind. 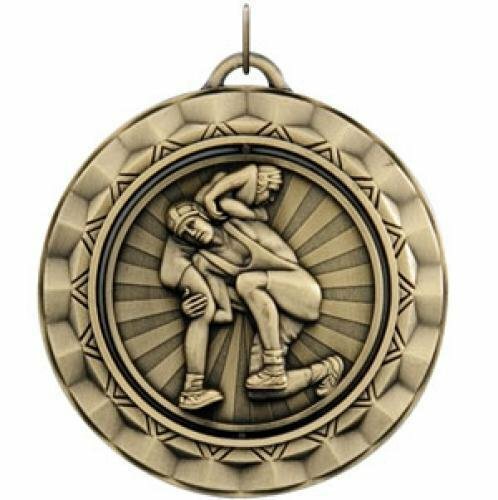 Made from a durable zinc alloy, this medal has a truly Olympian feel and finished in antique bronze. 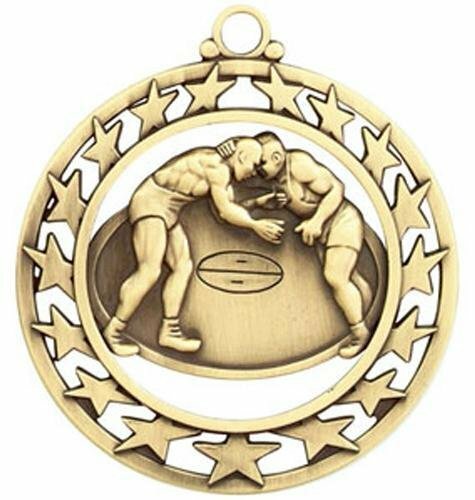 The back of the medallion has a smooth, recessed back for engraving.